Born and raised in a suburb outside of Sacramento, California, I grew up in a close-knit family and I had a very happy childhood. I absolutely loved school and learning and when I was in 5th grade, I had the opportunity to attend a week of Space Camp in Huntsville, Alabama. It was this experience at Space Camp that initially peaked my interest in space exploration. I returned to Huntsville to attend Space Academy in high school and after another incredible experience there, I developed a passion for space exploration and knew that my dream job was to work for NASA. I immediately began researching how I could make this dream a reality and I learned of the Johnson Space Center (JSC) Cooperative Education “Co-op” Program, which is a competitive program in which undergraduate college students have the opportunity to alternate working full-time as student engineers in a variety of groups at JSC with attending semesters of college. As soon as I found out about the JSC Co-op Program, I set my sights on doing everything I could to become a part of it. One of the most exciting moments in my life was during my sophomore year of college at the University of California San Diego (UCSD) when I learned that I had been accepted into the JSC Co-op Program. I knew that I had worked so hard for this opportunity and that it would hopefully lead me to obtaining my dream job at NASA, which it ultimately did. Another activity that I participated in throughout my college career at UCSD is NASA’s EarthKAM (Earth Knowledge Acquired by Middle School Students) project, initiated by former NASA astronaut and UCSD physics faculty member Dr. Sally Ride. The EarthKAM project enables middle school students to submit geographical targets to be photographed using a digital camera aboard the International Space Station. I was involved in the EarthKAM project in many different capacities – I acted as a liaison for participating schools, I worked in the EarthKAM Mission Operations Center which is located at UCSD, I traveled to Johnson Space Center to serve as a representative at the EarthKAM console in the Mission Control Center, and I was a student manager of the project. Working on the EarthKAM project was invaluable to me because, in addition to the JSC Co-op Program, it gave me “real world” experience working for NASA and it further solidified my dream of contributing to the nation’s space program. Through my work on the EarthKAM program, I also had the amazing opportunity to work with Dr. Sally Ride, who served as a role model and a mentor to me, and I am so thankful for the experience. After I graduated with a degree in Aerospace Engineering in 2001, I began work as a permanent member of JSC’s Applied Aeroscience and CFD (Computational Fluid Dynamics) Branch. Since that time, I have worked on and contributed to a variety of NASA missions and programs such as the Space Shuttle, International Space Station, Orion Multi-Purpose Crew Vehicle, and Project Morpheus. My branch is responsible for determining the aerodynamics and aerothermodynamics of a spacecraft during all phases of its mission. To determine these environments, a combination of computational modeling, wind tunnel experimental testing, and flight-testing is utilized. Within my branch, I perform project management for the JSC Rarefied Gas Dynamics Group and am responsible for performing analyses of low-density flows, such as generating aerodynamics and aerothermodynamics predictions for reentry vehicles in the upper atmosphere and spacecraft in orbit. I feel proud knowing that the engineering products we produce in our branch are contributing to the design of the vehicle and the success of the mission. In addition to my role at NASA, I have been married to my husband for 11 years and we have two daughters – who are 6 and 3 years old – and a 10-year-old yellow Labrador Retriever who we often refer to as our “firstborn”. My daughters continue to amaze me every day as they learn and grow and it brings me so much joy to experience the world through their eyes. My husband is a stay-at-home-dad and his unwavering support to our family and to my career has greatly contributed to our family and to my professional success. It is due to his support and the “family friendly” work environment at NASA, that it has been possible for me to maintain a good balance between work and family life, which is extremely important to me. I am so thankful for my husband and I couldn’t imagine a better partner to journey through life with. It also makes me feel so happy to hear my daughters proudly and excitedly tell people that their mommy works for NASA. In addition to my husband and children, I think the biggest influence in my life has been from my parents. From a very young age, they instilled in my sister and me the importance of education and of always doing your best, and they have always believed in me. They fostered my dreams by sending me to Space Camp and Space Academy, by helping me research NASA internship programs and colleges with science and engineering departments, by giving me the telescope and science/space books I’d been hoping for, by driving with me from California to Texas and back multiple times during my college co-op program years; they even allowed my best friend to paint the Earth and the Moon on my bedroom ceiling! They have always been my biggest advocates, supporters, and cheerleaders and I am so appreciative of their love and support. The most important lessons that I have learned in my life so far are to always be kind to people, maintain a positive attitude, work hard and do your best, believe in yourself, and be open to new opportunities. Some of the most enjoyable and fulfilling work I’ve done in my career so far have been as a result of me saying yes to work assignments where I was required to push myself outside of my comfort zone. It was those opportunities that allowed me to develop new skills and gain confidence in my capabilities, and they resulted in some pretty amazing experiences! 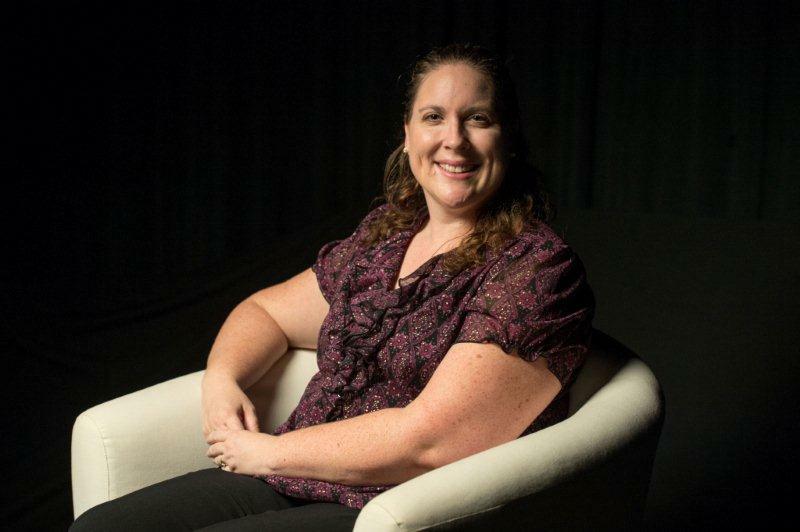 Katie Boyles was born and raised in a suburb outside of Sacramento, California and she developed a passion for space exploration after attending NASA’s Space Camp and Space Academy programs. She participated in NASA Johnson Space Center’s co-operative education program and NASA’s EarthKAM Project during college and graduated with a B.S. degree in Aerospace Engineering from the University of California San Diego. She began work in the Applied Aeroscience and Computational Fluid Dynamics Branch at JSC in 2001 and since that time, she has had the opportunity to work on and contribute to a variety of NASA missions and programs such as the Space Shuttle, International Space Station, Orion Multi-Purpose Crew Vehicle, and Project Morpheus. In her current position, she performs project management for the JSC Rarefied Gas Dynamics Group and is responsible for performing analyses of low-density flows, such as generating aerodynamics and aerothermodynamics predictions for reentry vehicles in the upper atmosphere and spacecraft in orbit. Additionally, she is responsible for managing her branch’s budget, which has been an excellent opportunity for her gain insight into and contribute to the business operations of the branch, in addition to her technical activities. She also enjoys participating in community outreach activities that promote STEM (Science, Technology, Engineering, and Math) careers and NASA’s mission. Ms. Boyles has been married to her husband, Fred, for 11 years and has two daughters (who are 6 and 3 years old) and a yellow Labrador retriever. Outside of work, she enjoys spending time with her family and friends, volunteering at her daughters’ schools, traveling, and reading.